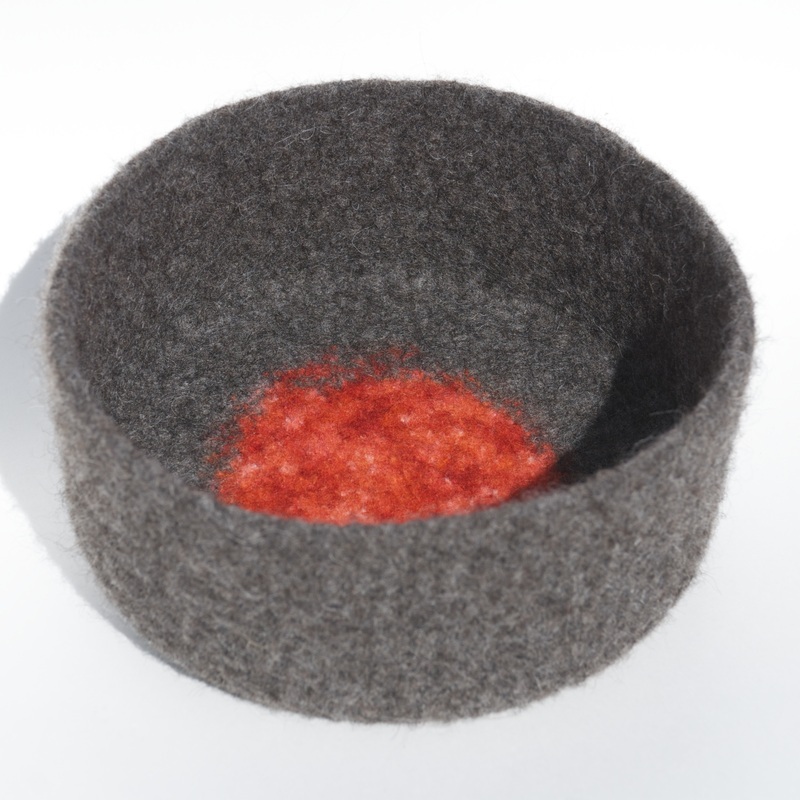 Crafted in 100% wool, ORB is a large felted cylindrical bowl with a modern feel. It is firm and strong - wonderfully textural and unique. Use to hold small fruit, collected stones or shells, keys or treasures. Or leave it empty for full impact of the design and colour. The bowl measures 9"w by 4"h. Handmade and hand-felted.